When Widow Emma Hochstetter discovers a run-away teenager in her barn, and the bishop asks her to provide a haven for a local woman and her two children she finds her quiet life has been interrupted. Then, her mother-in-law, Mary Ann,reveals one of her garden’s hidden secrets, something very unexpected. Will she continue alone or will she accept the gifts God has given her? Rachael Bontrager’s flower garden is beautiful, but at twenty-four, she’s lonely. Gideon Beiler fell in love with Rachael almost at first sight. After her grandfather has a stroke, her days are filled with caring for him, and one day Rachael finds her garden in shambles.However, she won’t accept Gideon’s offers of help. Will she realize she doesn’t have to do everything on her own and that God is in control? SadieChupp finds her greatest joy in the greenhouses in her Montana community. 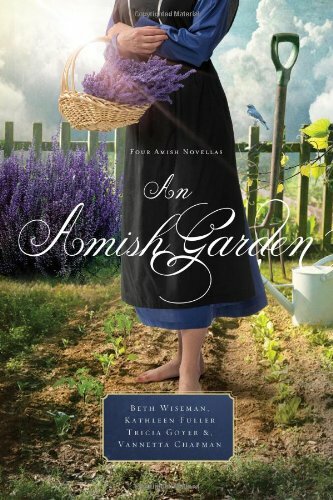 Acompany is interested in buying her heirloom seeds, but they are the only thingshe has left from her deceased parents.Eli Plank is a traveling bachelor who believes he can help Sadie, but amisunderstanding leaves her heartbroken. Will she trust him again, and let theseeds of a new relationship take root? Rosemary Lantz isdoing her best to run her family’s household. She excels at all her tasksexcept one: gardening. Saul Petersheim has pursued Rosemary for years, butRosemary keeps turning him down. What Saul doesn’t know is that she hasgood reason—something no one can know—especially not him.